QUEENS VILLAGE, N.Y. (CNS) — “I found heaven,” Agnes Russo said definitively, as she described the Little Sisters of the Poor Queen of Peace Residence, her home of 17 years. 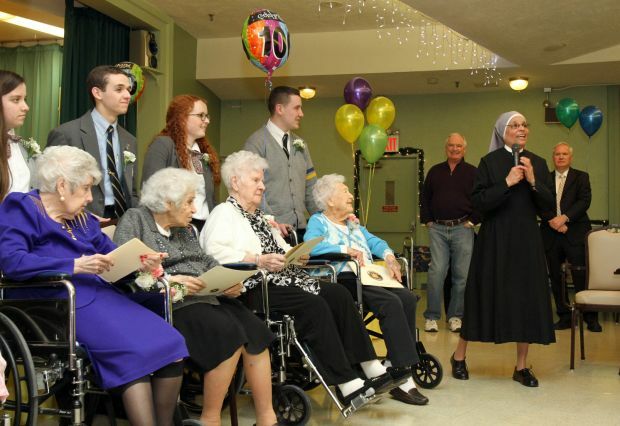 Russo, 99, was one of eight women honored Jan. 20 at a festive “807 Years of Life” party celebrating residents who will be 100 or more years old in 2015. Each of the women was greeted with applause as she entered the spacious community room and was introduced to the gathering of family, staff and volunteers. Students from Kellenberg Memorial High School escorted the honorees and helped them get settled at the head table.